Windowboxes and Weissbier: This volcano is a HOAX! Enjoy your Honeymoon! I can't wait to hear all about the wedding!!! Congratulations! We spent our honeymoon in Costa Rica too! Isn't it beautiful there. And yes, the roads are TERRIBLE! 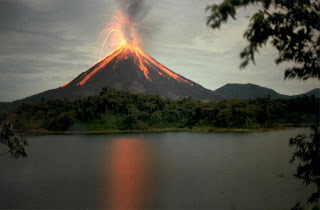 I've also been to Arenal. Did you go to the hot springs?